Why Is It So Hard To Make Time For Ourselves? When God first dreamed of us in his heart, along with the beautiful sunsets He paints every dawn – dotting leaves on every tree and playing sweet sounds over pebbles in a brook – you and I were all created to be God’s works of art. But, we often neglect our hearts, prioritizing the frenzy of stress, just surviving, fear of saying no – or fear of saying yes to what feeds our soul — or just plain too much of everything because we don’t want to miss out or fail to meet other’s expectations/demands. We end up leaving leftovers for ourselves instead of refreshing our soul. We’re like a beautiful painting put to the side, covered up and forgotten. 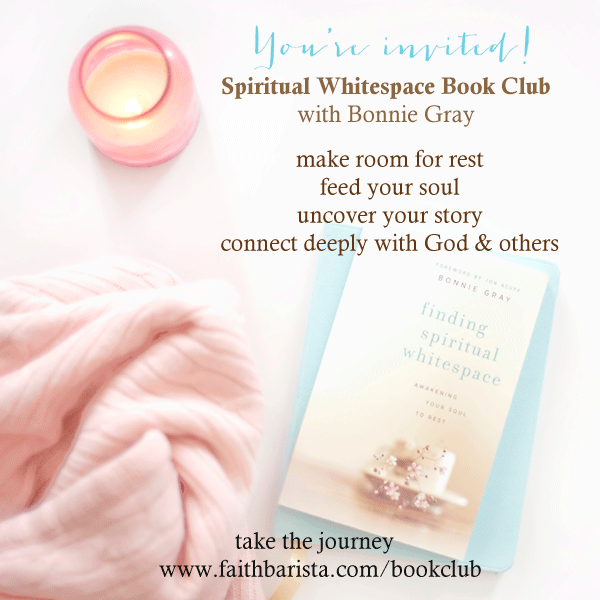 How can God paint into our hearts, if we don’t uncover time in our hearts and schedules for spiritual whitespace – so God can whisper words and fill us with rest and refreshment? And guess what? The paint God uses is unique to our own soul language – unique to your personality, story and experiences. There is no one who enjoys the kind of things you like – the way you do. And guess what? God knows there are things that you don’t like either. Rest with God isn’t going to be cookie cutter, one size fits all. So, find what is restful to you and create that space. Don’t try to “problem solve” or “fix” this question of rest. EXPLORE. Dare to go on an adventure with Jesus. DISCOVER and find clues: who is this work of art God created — and is still organically creating — in you? BE OPEN. Listen and start collecting clues and ideas to what feeds your soul. I used to see myself as a project God was working on. And that was stressful. Because when we view ourselves as “workers” for God – rather than His beloved, who was created to bring beauty and reflect who He is in us, we miss out on allowing God to nurture us – in ways that uniquely refreshes and brings us rest. What if we were just present with *who we are* – as is? Find and enjoy your spiritual whitespace. Drape a painter’s canvas over all other things in those pockets of spiritual whitespace. Unveil the painting God started in you. Put your heart on the easel of your time and priority. Let God can paint His rest and refreshment in you! Give yourself permission to put everything else to the side! Give yourself permission to just be with God and allow Him to give you rest. [TRY] Jot down ideas in your journal as they surface. Do not judge it (e.g. aw, I’ll never do this. I can’t keep this up… etc.). Better yet, just go with an idea to take time for yourself & share with us with a picture using hashtag #spiritualwhitespace, whether it be a small moment to make tea, randomly doodling, take a bubble bath or putting on your shoes for a walk! [PRAY] Dear Jesus, help me to be brave and take time for me. Refresh and paint into my heart again. I’m scared to say yes. Help me to say no to whatever it is, so I can be with you. Help me to be the art you’ve always dreamed for me to enjoy becoming. [SHARE] Is it hard or easy for you to take time for you? Share what holds you back or what helps and encourages you. Pull up a chair. Click to comment. Let’s swap some stories. Remember to Enter By Tues 1/27/15 Midnite! 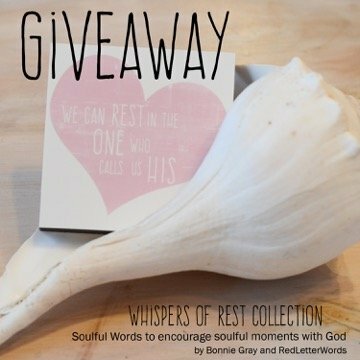 To celebrate this journey of rest, Dee Kasberger — faith inspired artist and designer of RedLetterWords — and I teamed up to create Whispers of Rest Art Print Collection: Soulful Words to encourage soulful moments with God. Each art print features a quote from my book Finding Spiritual Whitespace to inspire echoes of beauty and rest for your soul. Click here on last week’s post to enter. No Idea How To Rest Even If You Made Time for Yourself? Gone are the days when there were so much urgency to find myself as I thought I would find me. Here are the days when a life time of living has brought me face-to-face with Him. I’d heard His whisperings along the way, but there was so much in my hands to do–fix a broken heart and mind when my family’s maladies injured me so deeply, limping through school, marriage and child rearing..aching to know what I was really supposed to be. It took a lifetime of living and talking to God to find me. Now…there is much more time…and I lavish in it even though many things still try to steal it away. My heart wishes I’d stopped to listen more surely to that still small voice long ago…but it’s never too late so they say…so…I now take time…have time…and embrace who I am in Him…the real me…finally revealed. He brought me here as I am now. I had to do all those things…and He knew that…and never let me go. One of the biggest issues that held me back from my time with God was guilt. It would start with the renewed commitment to start having quiet and devotions. I might miss one and it would snowball to avoidance. The last quarter of 2014 I began to fight for my quiet time. Not allowing for anything or anyone to hinder or hamper me. Now if it happens from time to time, I just crave that time with God so much, I have to make room for it somehow, someway. I feel so rested in those times and so hugged by hug. The kind where we both hug long and good. Your words encourage me to just ‘be’ with Him. That takes all the pressure off. To just be there in the quiet. No agenda or words at times. Just breath and closed eyes. 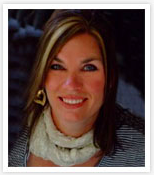 Anything can happen there…healing, purging, rest, blow out, anything. It’s all good in His presence. I’m safe there. This morning I did something I haven’t done in a very long time. Something I’d forgotten gives me rest for my soul. After my alarm rang, I stayed in bed. I let my mind wander. I enjoyed the peace and tranquility of being still instead of jumping up and racing to the first thing I do every morning–even though that first thing is always time in His Word. Today, I enjoyed the train whistle, the peace and quiet and rest of spending time letting God’s peace wash over me as I listened instead of filling my first hour with MY Scripture reading plan, MY prayer list. It was His time. . God filled my heart and mind with His Word; the verse I’m memorizing and struggled to remember yesterday, repeated in my mind today effortlessly. His reminder that “So too the Holy Spirit comes to our aid and bears us up in our weakness; for we do not know what prayer to offer or how to offer it worthily as we ought.” Letting that verse wash over me again and again reminded me of how God cares for me. He provides so I don’t have to rush and fill the time with activity to worship. Lingering with God instead of following my own agenda left me feeling more peaceful than rushed at the start of today. Thank you, Jesus, for rest for my soul. I am finding that since I stopped fighting this season in life and began to appreciate that I do not have to be super busy to have value …that I enjoy time with God more. I have lots of “white space” time and I am learning to be content with that. I treasure friendships but friends are often too busy because they are not in this season of life. It is nice to share “ministry of presence” with others and not be rushed. I do not miss rushing. I join you in thanks. I just started lingering in bed with Jesus this week. I hadn’t realized I’d started popping out of bed again. I’m praising God with you. Rushing keeps my soul from breathing. It keeps ME from breathing. It makes me tense and anxious in body and spirit. The tension and anxiety come from taking my focus off of Jesus and putting it on the circumstance. I need to remember: life is not an emergency! Yesterday, after my shower, I sat in the rocking chair and read Psalm 107 – and I dared to hope that God’s promises also applied to me. This morning, I sat in the rocking chair waiting for the sun to come up and my son came and cuddled with me. I’m learning to create these small moments and not judge them as being “not enough” as I used to, but to see how they add up to a bank of good memories. I want to be able to tap into all those present and recent good things, instead of continuing to search in the long library of bad memories for good things that just aren’t there. I love your willingness to create small moments and see how they add up to a bank of good memories. As a grandmother, I know what you’re doing is valuable–not just to you, but to your children. Pray those verses over and to your children. Start early to let them see the value of praying God’s Word and letting praise flow from their lips. I can just picture this beautiful time. I can feel the calm and peace too. Thank you so much for doing this book club. I started your book last summer and got half way thru then LIFE happened! Ailing in-laws and a kitchen remodel which took too long to complete then Christmas. So here I am. Seeking God. Always feeling like a failure. Trying to make friends in a new neighborhood after living in our last home 50 miles away for 17 years. I go to a Spiritual Director once a month. The themes in your book resonate with everything she tells me. Especially REST. Don’t know how, can’t get it down. Feel like I should be doing something else when I am there yet when I go there with God, I don’t want to leave. I just want to say thanks for the encouragement and I will try to keep up with the book with you. You are so awesome to be so honest. I need it because I feel safe with my feelings when I hear yours. Also keep the videos coming. You shine!